The canyon is so large that its size can be misleading without a frame of reference. From geology to human history to activities to planning a visit, there are hundreds of things to know about Grand Canyon. As the longtime director of sales and marketing for Grand Canyon National Park Lodges, Bruce Brossman knows as much about the destination as anyone. Over the years he’s fielded thousands of questions from travelers and journalists from around the world. These are among the five most frequent. 1. How big is Grand Canyon? While this question is the most obvious, the answer can actually be surprising. The canyon is so large that its size can be misleading without a frame of reference. The first time I stood at the South Rim and looked across the canyon and then from side to side, I assumed that one section was it. Without a broader reference, I guessed the canyon was about three miles across, 100 miles long, and one mile deep. Wrong, wrong, and right. 2. What is there to do there anyway? This question relates to one of the most common myths about Grand Canyon — that there’s not much to do. It’s likely perpetuated by visitors who drive up, look over the rim, and then drive off — assuming they’ve “been there, done that” without experiencing the vast array of things to do. Brossman clears that up with a laundry list of activities that — first and foremost — includes hiking. Grand Canyon National Park is one of the world’s most popular destinations for hiking, which can be done along the rim, on forest trails, and, most notably, into the canyon itself via the many inner canyon trails including the popular Kaibab or Bright Angel trails. In addition, nature lovers and photographers find a visual feast every day at sunrise, every evening at sunset, and after dark when the stars appear. There are mule rides, bicycle rentals, camping near the rim and on the canyon floor itself, ranger talks, evening programs, bus tours that stop at a variety of overlooks, shopping in the Historic Village, a multitude of eating experiences from snack bars to fine dining in the El Tovar Dining Room and Arizona Room, aerial tours via helicopter and airplane, and river rafting through the canyon on the Colorado River. While it would be nice (not to mention exciting) to arrive via the Colorado River, most visitors make the first leg of their trip by air. The three closest airports are, in order, Flagstaff (125 miles south), Phoenix (270 miles south), and Las Vegas (300 miles west). Brossman suggests a rental car if arriving by plane for the most flexibility to visit scenic spots on the way. But consider arriving at the canyon by train, instead, via the historic Grand Canyon Railway for a thrilling ride into the park. You can overnight in the town of Williams at the Grand Canyon Railway Hotel before boarding. I’ve had the pleasure of riding the train from Williams all the way to the depot at Grand Canyon Village and I place that among my favorite American experiences. Ever. Once you’re in the park and discover the shuttle buses, in-park tours, bicycles, and walking paths, there’s no great need for a car anyway. 4. How do I get to the canyon floor? 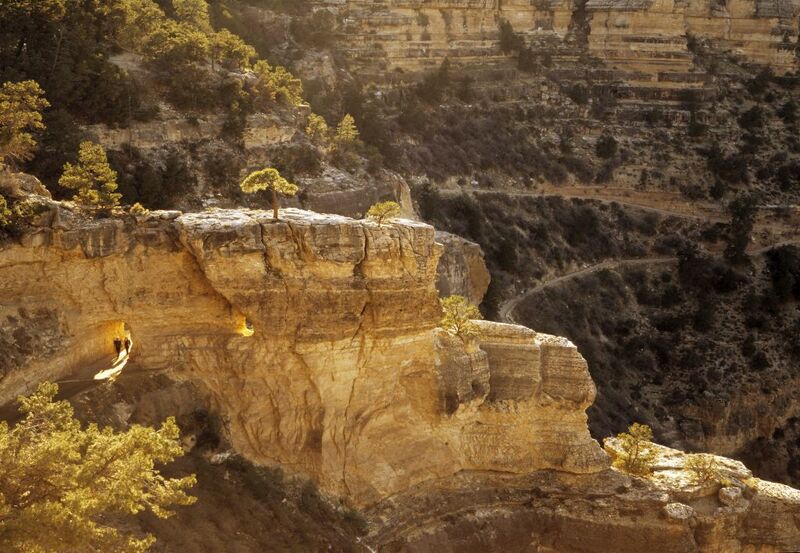 Each year, six million people see Grand Canyon from the rim, but only a handful see it from the bottom up. There are three ways to reach the canyon floor. You can do it by foot, following the many inner-canyon trails including the popular Kaibab or Bright Angel trails from the South Rim (note that Kaibab has a North Rim trailhead as well). But never forget that while it’s easy to make the descent, it’s far, far more challenging to return to the rim. Hint: If you plan to stay at Phantom Ranch on the canyon floor, make reservations well in advance. Less demanding on your feet is traveling via mule, which is one of the nation’s signature experiences. Again, reservations — as much as 13 months in advance — are highly recommended. Restrictions apply: You must be at least 4 feet, 9 inches tall, weigh less than 225 pounds for the Canyon Vistas ride and 200 pounds to go all the way to Phantom Ranch, and be comfortable around large animals. The third method is on a river raft. There are several opportunities for this, from one-day excursions to epic adventures lasting three weeks or longer, some hosted by either river concessioners, private outfitters and guides, or by private boaters. With proper planning, you can find yourself floating into Grand Canyon for what may be the trip of a lifetime. 5. What will the weather be like? 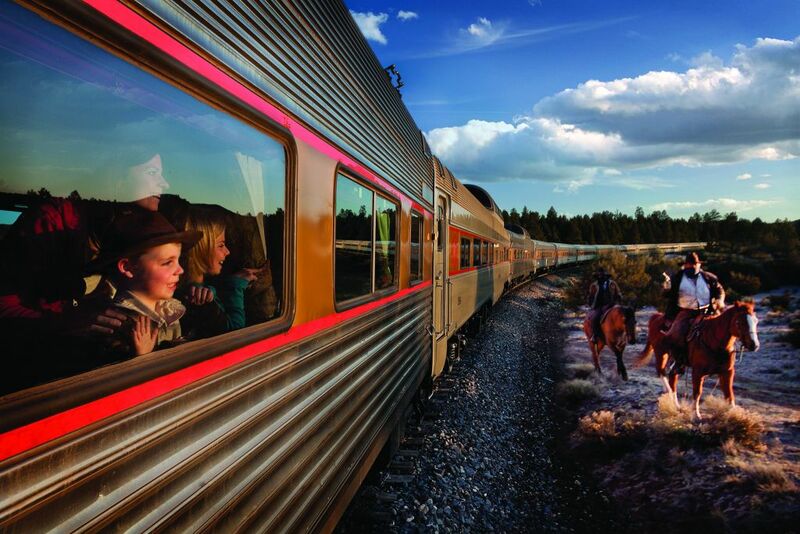 If you arrive via car, train, or motorcycle, you may not be aware that you’ve been gradually ascending to an elevation of 7,000 feet as you’ve scaled the vast Kaibab Plateau. The park’s elevation is just one factor that creates four distinct seasons at Grand Canyon, which means, naturally, weather will vary. “Winter can be cold at night and it does snow,” advises Brossman, “but the days are usually pleasant to walk the rim or into the canyon. But keep in mind you’re going to need crampons and ski poles to venture into the canyon. “Spring can be unpredictable, with snowstorms possible into April and May,” he continues, “but it’s also a great time to hike and enjoy the canyon. Summer days can be warm, but often summer thunderstorms cool things down. A fringe benefit is that the clouds make for spectacular sunsets and sunrises. In other words, a great time to visit Grand Canyon. Have any questions of your own? 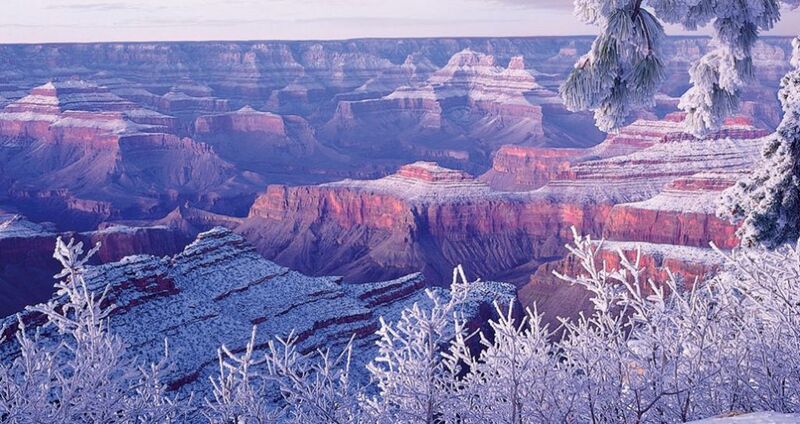 To learn more about this Natural Wonder of the Natural World, visit GrandCanyonLodges.com or call 888-297-2757. Grand Canyon National Park Lodges provides the premier in-park accommodations, managing six distinctly different lodges. From the historic El Tovar hotel, long considered the crown jewel of national park hotels, to Phantom Ranch, the only lodging on the floor of the canyon, you’ll find accommodations to help you get the most out of your visit.